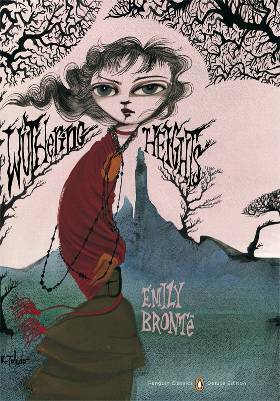 I started reading Wuthering Heights by Emily Brontë right after I finished Jane Eyre (by Charlotte Brontë). I have no idea why I assumed their writing style would be somewhat similar, maybe because they are sisters and were exposed to the same literature. But it is drastically different. I'm only 5 pages in, but I can already tell that its not going to be anything like Jane Eyre. The cover above is a Penguin Classics Deluxe edition, jacket illustration by Ruben Toledo. Get it here.